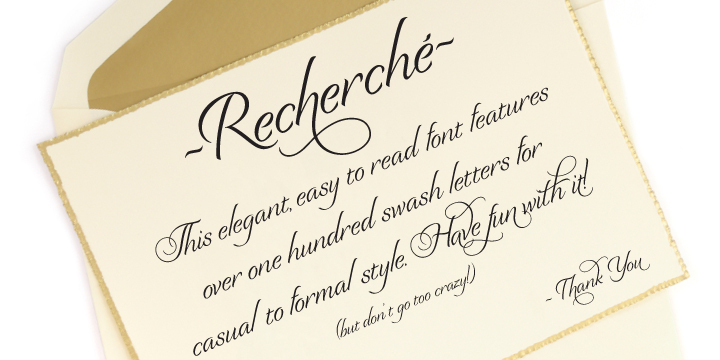 Recherche means “studied refinement or elegance” — and suits this typeface perfectly. 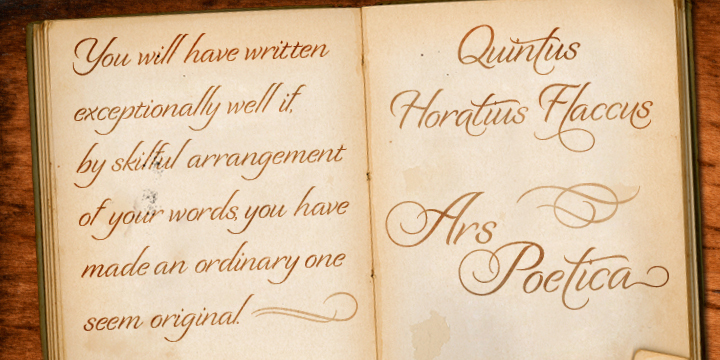 Based on letters from a pointed brush, its long, arcing verticals and open-ovaled counters convey airy sophistication. 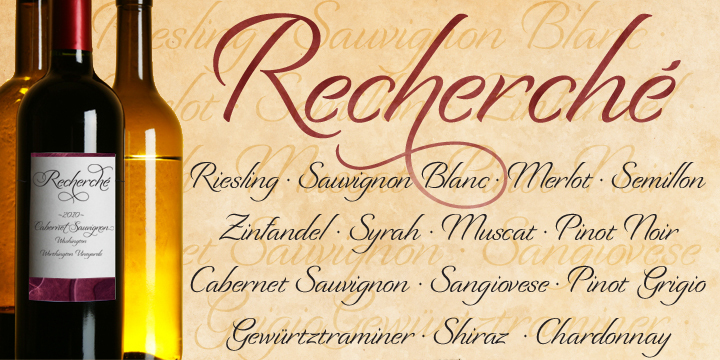 Recherche is packed with swashy alternates, making it easy to create unique settings and wordmarks for menus, wine labels, wedding invitations, and the like. A font family published by Laura on Friday, July 29th, 2016 that has 1,520 views so far.